The first thing you will notice about Shin-Sen-Gumi is how freaking loud it is. A cacophony of loud Japanese, drunken patrons, and the slight crackle of the grill provide an atmosphere that’s uniquely it’s own. It’s almost so loud you can barely hear yourself talk. Shin-Sen-Gumi has various locations and each serve different types of Japanese food (ramen, yakitori, shabu-shabu). This particular location featured yakitori, The wait time on a Saturday at 9:00pm was around 30-40 minutes. Parking lot is large but can filled when it’s busy. Definitely avoid weekends or prime dining hours, as they don’t flip tables fast here. You order your food on a piece of paper similar to a sushi bar. 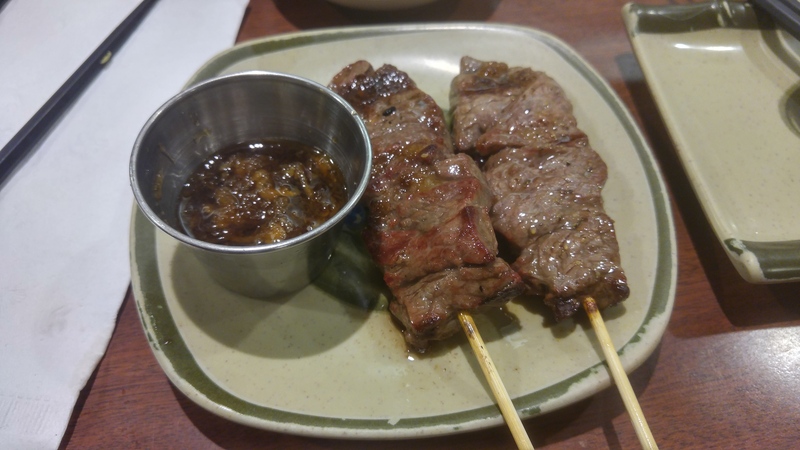 It comes out on tiny skewers containing 3-5 pieces of grilled protein. The flavors were excellent throughout, the grilled Kobe style beef and pork belly were the real winners. 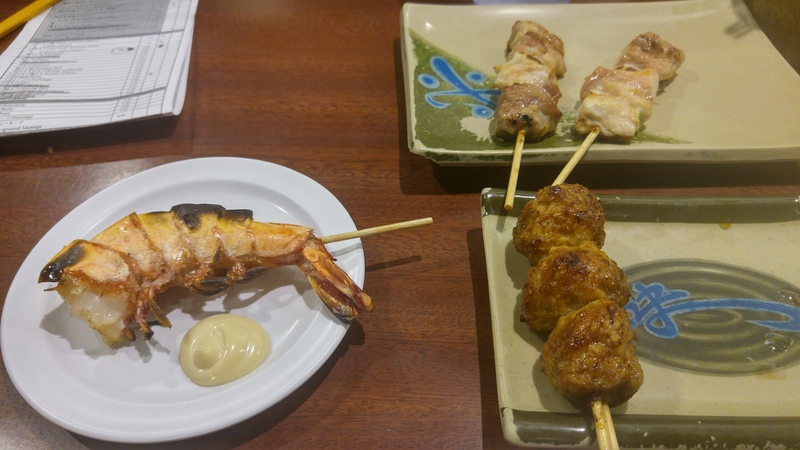 Although it was $ 10 for two tiny kobe skewers, it was well worth the delicious juiciness. Bill usually ends up around $60-$70 for two people without drinks. It can get pretty expensive for anyone with a monster appetite.